20 Dec 2018 --- Unilever has acquired Netherlands headquartered meat alternative innovator The Vegetarian Butcher, as it seeks to expand its portfolio into plant-based foods that are healthier and have a lower environmental impact. With the acquisition, Unilever is responding to the growing trend among consumers opting frequently for vegetarian and vegan meals, says the company. In the Netherlands alone, some 750,000 people now identify as vegetarian. But flexitarians, who regularly choose to eat less meat, now make up two-thirds of the Dutch population, according to research from the University of Wageningen. Financial details of the purchase have not been disclosed and the deal is expected to be completed before the end of this year. 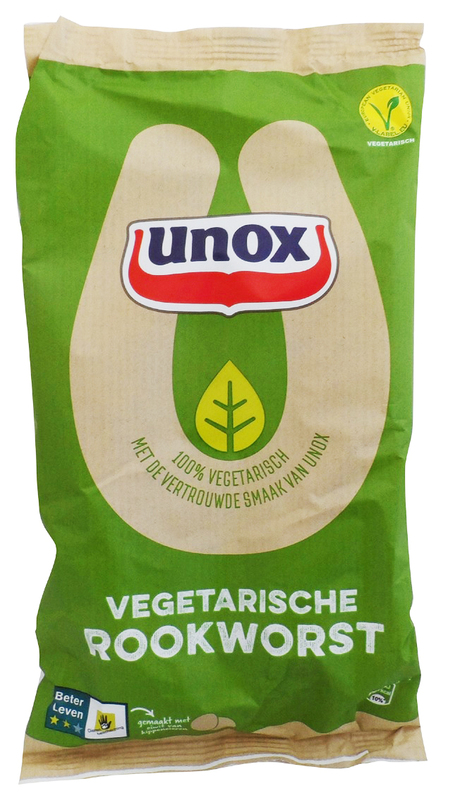 The move follows several years of collaboration between the companies that resulted in the launch of the first vegetarian meatballs and vegetarian smoked sausage under the Unox brand. Click to EnlargeUnilever and The Vegetarian Butcher started working together in 2016, where they marketed products under the Unox brand.For The Vegetarian Butcher (known in the Netherlands as De Vegetarische Slager), the acquisition is the next step in its ambition to grow into “the largest butcher in the world,” reads a statement from the company, which was founded by Jaap Korteweg in 2007. “Unilever’s international network across 190 countries, provides every opportunity to accomplish this,” Korteweg notes. Korteweg, a ninth-generation meat farmer and a real meat lover, became a vegetarian and founded the company to satisfy his own need for quality food products which are not produced from animals. The products made by The Vegetarian Butcher are now being sold in over 4,000 outlets in 17 countries. Unilever and The Vegetarian Butcher started working together in 2016 when they jointly launched Vegetarian Meatballs in Satay Sauce and Vegetarian Meatballs in Tomato Sauce, which were marketed under the Unox brand. The acquisition is a step on Unilever’s journey towards a portfolio with more plant-based products. Currently, Unilever is selling nearly 700 products with V-label in Europe. In the Netherlands, these include products from Unox, Knorr, Hellmann’s, Conimex and Ben & Jerry’s brands. The Vegetarian Butcher employs approximately 90 people, who are to remain with the business under Unilever ownership, according to the company. Plant-based meats were the key theme at SIAL 2018 in Paris in October 2018, where the meat hall at this year’s event was noteworthy for the sheer number of innovative meat alternatives on display to cater to both vegetarian and flexitarian consumers. More innovative meat brands than ever were present, including Beyond Burger, Vivera, The Meatless Farm Co. and The Vegetarian Butcher. It effectively shows how the meat cabinet is evolving into the protein cabinet. 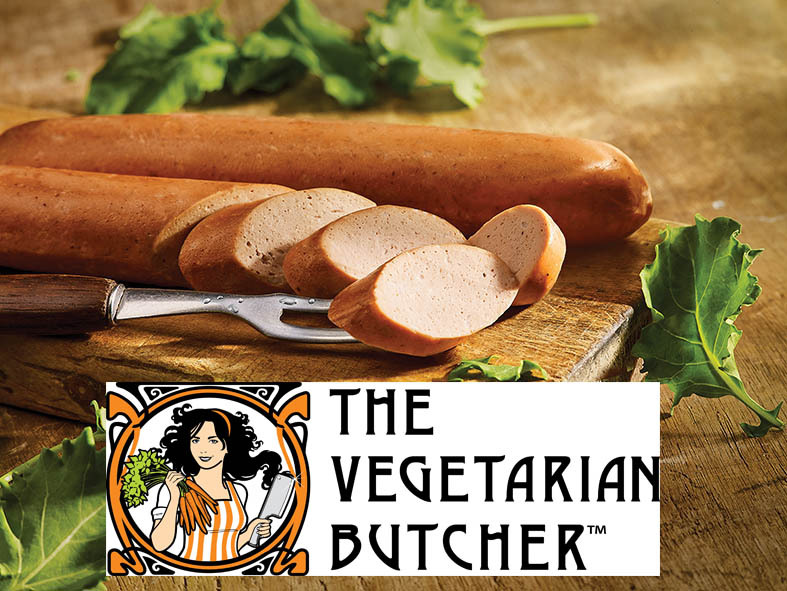 FoodIngredientsFirst has reached out to Unilever and The Vegetarian Butcher for further details on the new acquisition. The news follow several recent significant announcements from the brand. In September 2018, major Dutch snack manufacturer brand Mora joined forces with The Vegetarian Butcher. October 1st marked the launch of a plant-based vegan smoked sausage with a traditional taste, which is now available under Unilever’s Unox brand. Click to EnlargeOctober 1st marked the launch of a plant-based vegan smoked sausage with a traditional taste, which is now available under Unilever’s Unox brand. The aim was to create a product that would taste great, even for typical meat eaters, according to the company. In addition to creating a good flavor, it was a challenge to create a sausage with a “bang.” The animal-friendly smoked sausage has since been available in Dutch supermarkets. Plant-based proteins have taken center stage in 2018, the year which has marked serious growth in vegan product development. Last month, Innova Market Insights hotly tipped “The Plant Kingdom” as its number two top trend for 2019, reflecting how vegan inspired eating continues to go mainstream. The trend is set to become even more significant for the coming twelve months ahead. The shift in the dynamics of this space is clear when advertising strategy is assessed, also for a brand that was a traditional stalwart of the Unilever portfolio. One of the most striking campaigns of 2018 came in the Netherlands, where former Unilever margarine brand Becel has been given a telling marketing spin. Last year, Unilever agreed to sell its margarine and spreads business to US private equity firm KKR for €6.83 billion to concentrate on faster growing products. In June 2018, KKR re-established under the corporate name Upfield. Now Becel has chosen a new brand positioning, with a highly interesting tagline: “Plants are the new cows.” Becel has been positioning itself on a plant platform since 2017 and under the Upfield flag Becel goes even further, with the launch of a new product range: 100 percent vegetable drinks. This launch is supported in communication with this striking tagline in the Netherlands, Belgium and Portugal, where it is also used for the established margarine product.